Last week, we spotted an HBO Go mention on the official Chromecast apps page, only HBO and Google had yet to mention anything official. As of this morning, we no longer need an announcement because both Android and iOS HBO Go apps have been updated with Chromecast support. We’ve known for some time that HBO has been considering a move into Google’s HDMI dongle space, with private YouTube videos waiting to promote the service surfacing earlier this week. So this latest update isn’t exactly a surprise, but somewhat odd for HBO to have not mentioned something publicly by now. Maybe they were waiting for App Store approval before making it all official. Either way, it’s there. You can grab the app now from Google Play and get to casting. 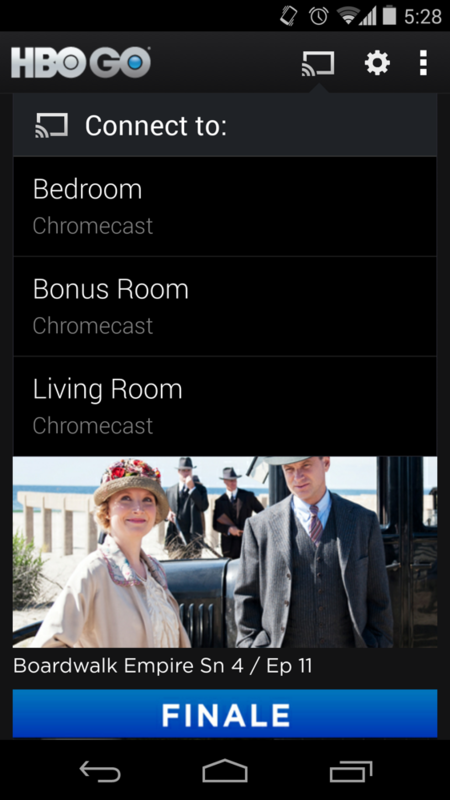 The Chromecast icon now appears at the top of the app, next to the settings button. Update: Google has now confirmed HBO Go support.